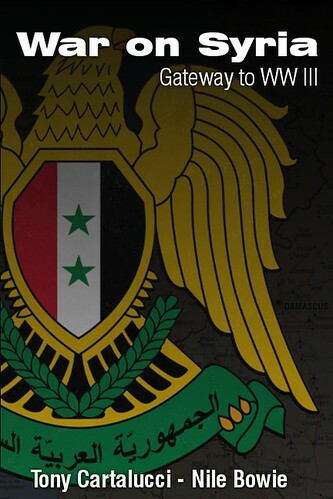 Follow up reports of rebel war crimes & a hypocritical "international community." Photo: Libya's rebels are far from motivated by democratic aspirations. Their grievances lie along ethnic, not political divides. 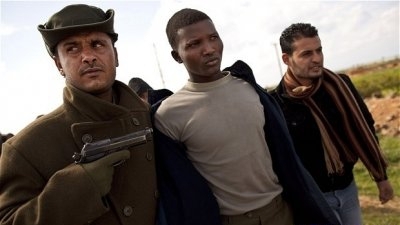 "Gaddafi supporters" is the euphemism being used by the global corporate-media in describing the generally darker skinned and African tribes that form the majority of Western Libya's demographics and who are bearing the brunt of NATO-backed rebel atrocities. Bangkok, Thialand July 14, 2011 - Confirming what geopolitical expert Dr. Webster Tarpley had for months been saying about the realities behind the Libyan unrest, often depicted as a "pro-democracy" rebellion by the corporate-owned media, reports are coming in that Libyan rebels are once again targeting rival ethnic tribes within captured towns with beatings, looting, vandalism, and much worse (though conveniently omitted in mainstream reports.) This indicates not "democratic" aspirations, but a conflict divided along ethnic lines, perpetuated by covert and now overt US/UK military support for the Western-favored and long cultivated tribes of Eastern Libyan centered around Benghazi. CNN reported, "Libyan rebels looted and beat civilians, rights group says," that Soros-funded Human Rights Watch received reports that, "rebel fighters and supporters have damaged property, burned some homes, looted from hospitals, homes, and shops, and beaten some individuals alleged to have supported government forces." Mahmoud Jibril, the defacto rebel prime minister who recently pandered before the corporate-funded Brookings Institute claiming his movement was inspired by globalization, confirmed the allegations but suggested they represent only a "few incidents" and that those responsible would be "brought to justice." This is however entirely unlikely, because while only a "few incidents" have been highlighted by a clearly biased international media, such atrocities have been reported consitently since the Benghazi tribes launched their foreign-backed offensive against Qaddafi in February this year. In an April 2011 New York Times article titled, "Inferior Arms Hobble Rebels in Libya War," a weepy narrative is told of under-armed, outclassed rebels who have been compelled by their circumstances to commit horrific atrocities and war crimes. The New York Times describes a "tolerance for at least a small number of child soldiers," and blamed a lack of command-and-control for "instances of abusive or outright brutal conduct" rather than a lack of ethical principles or their foreign-funded, illegitimate cause. The New York Times article describes the rebels' use of Grad rockets often described as indiscriminate war weapons and whose use by Qaddafi's forces have been cited as a contributing factor for NATO's intervention. The article also makes mention of the rebels' use of landmines - also a contributing factor cited by the warmongering criminals of NATO for their intervention in North Africa. 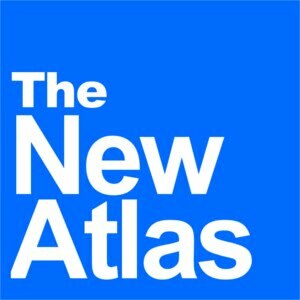 The New York Times article is attempting to excuse and spin a torrent of reports coming out indicating that the Libyan rebels, who themselves admit ties to Al-Qaeda, are reportedly butchering, beheading, and mutilating captured government troops and clearly guilty of employing the same weapons and tactics NATO has baselessly accused Qaddafi of using - the very justification used by NATO to enter the war in the first place. Likewise, the Soros-funded Human Rights Watch report most recently cited, is laced with excuses regarding the civilians' alleged support for Qaddafi as well as interjections reminding readers of Qaddafi's alleged abuses. In turn the report is further whitewashed by the corporate-owned media without the colorful interjections that generally accompany similar reports regarding Qaddafi's alleged atrocities. A recent Guardian article, titled "Libyan rebels accused of burning homes and looting," with the subtitle "Human Rights Watch says rebels ransacked medical facilities and torched houses of Gaddafi supporters," represents a subtle rhetorical mechanism used to once again whitewash the rebels' crimes. Within the article the term "homes believed to belong to be supporters of Muammar Gaddafi" is used with the final sentence reading, "Gaddafi's forces in the area have been accused of indiscriminate shelling of civilian areas and laying land mines." Other articles, such as Wall Street Journal's "Libya City Torn by Tribal Feud" represents the corporate media conceding to reality and the beginning of mainstream reports describing the underlying ethnic tensions that serve as the true motivation, not democratic aspirations, behind the continuing violence triggered and continuously stoked by the Washington-based Libyan rebel leadership. However, geopolitical expert Dr. Webster Tarpley had noted as early as April in a report titled, "Al Qaeda: Pawns of CIA Insurrection from Libya to Yemen," the historical British support for "monarchist and racist Harabi and Obeidat tribes of the Benghazi-Darna-Tobruk corridor." He correctly diagnosed ethnic tensions as being behind the unfolding atrocities still being obfuscated by the corporate-owned media today, and predicted that atrocities and genocide await cities and towns captured by NATO-backed rebels. What we are confronted with in Libya is not an oppressed people aspiring for globalization and liberal democracy, but yet another political-ethnic division exploited by the global corportocracy to divide and destroy the sovereignty of an independent nation. If and when Tripoli falls to the hordes of globalists and their witless armies of dupes and mercenaries, unthinkable brutality, discrimination, and atrocities await their ethnic rivals. While NATO's rhetorical justification for their criminal military intervention centers around protecting civilians, they are clearly and intentionally facilitating the targeting of civilians aligned to Qaddafi not politically, but ethnically. It is essential that we understand who indeed is truly behind these conflicts including the corporations that set agendas within unelected think tanks, the corporate-owned media that misrepresents and sells these agendas to the public, and the illegitimate politicians carrying these agendas forward against the will of the people they allegedly represent. To counter this, we must continuously work to inform others of the truth being obfuscated by the immense propaganda campaigns that accompany such conflicts and commit ourselves to both boycotting and replacing entirely the corporations promoting and benefiting from such conflicts. While Libya's plight may seem a far flung and insignificant concern to the average person, a globalist victory in Libya, is a victory against all free and sovereign people.